There has been much debate in the UK over the proposed HS2 link. Some years ago, there appeared to be a reasonable political consensus in its favour. The issue is now clouded. Labour is indicating ‘no blank cheque’ if they regain power. There is opposition to HS2 from those opposed to big government or big technological schemes threatening environmental consequences. A simple vision to share with the public vanishes if it is not presented as having a key factor. Faster journeys was a simple vision but the more complex ‘making travel nice, fast, safe and economically good value for money approach is much trickier to present. The result is increasingly unconvincing arguments. Economic justification relies on experts commissioned by protagonists. Most large technological projects come with unexpected extra costs. Other costs might be anticipated but are covered up by those with a position to advocate. Benefits, the other side of the decision dilemma, remain too loosely coupled with costs. Pondering on these matters, I recall a simplification offered in innovation theory by a McKinsey consultant Richard Foster. In his book The Attacker’s Advantage [still in print] he presents the change as a shift from one s-curve to another. Using rather simple economic assumptions, it is possible to identify a region over time in which the economic advantages of shifting is compelling. Sometimes there is no such region or window of opportunity. The attacker’s advantage always struck me as more of a useful conceptual map or thinking tool than a decision-making algorithm. It is better at isolating a more ‘either-or’ decision between two competing technologies. Between, for example, costs to the tax payer and costs to the traveller. Who pays through taxes is a political decision; who pays in travel fares is a commercial one. I stand for a more informed, more disinterested debate. The current efforts of politicians leave me suspicious of there ever being a simple resolution of the decision. It seems more clear that ‘doing nothing’ is accumulating the problems building up within the transport connections between the wealthy commercial South of England and what is crudely classed as ‘The North’ . In this case, the North w includes Watford (gateway to the North), Birmingham (North of Watford), Manchester and Leeds (North West and North East of Birmingham) and Glasgow (very North indeed, no country for soft old southerners, which may have border guards, by the time HS2 is built). As I mull these arguments over, I reach a few not very startling conclusions. HS2 will not be built without overcoming strenuous opposition. If it is built at all, it will result in unforeseen advantages and disadvantages. And the longer it takes to decide, the narrower will be the ‘window of opportunity’ for an attacker’s advantage. How long it is since every up and coming business executive could not be seen without their BlackBerry in hand, with that iconic QWERTY keyboard at the ready to make those all-important calls? The Canadian-based company that cut 4500 jobs to counter losses has now been bought for £3 billion by a consortium led by Fairfax Financial. The parent company RIM did not see the touch-screen coming. Their CEO Thorsten Heins had made his presentation in Florida to launch new touch screen lifesaving models, but the smart phone community are not convinced, saying the company is too late. In 2007 they laughed at Apple’s iPhone, asking the question who would pay $500 for a phone without a keyboard? The answer came back – everyone. Nokia, the one-time brand leader in the smart phone business was bought by Microsoft [September 2013] for 5.44 billion euros. Nokia employs over 100,000 people in 120 countries, so the fortunes of Nokia matter to many people. The Nokia operating system Symbian was allowed to become obsolete and outdated compared to Apple’s IOS 6 and now 7 and Google’s Android operating system. Nokia’s place in the smart phone market slumped as the company lost 40% of their share of the market in just over 12 months. Steve Jobs resigned in 2011 as CEO of Apple after a period of serious illness. He handed over to Tim Cook. Sadly Jobs later died. As he left the company, iPhone 4 was their top phone; it has now been discontinued. A year is a long time in the smart phone business. Apple launched their new operating system IOS 7 stating that it was their most secure system to date, yet within twenty four hours it was discovered that their lock screen pin code could be easily by passed. They were forced to issue IOS 7.2 to correct this security issue. Apple sold nine million of its new iPhone models in three days. The CEOs of the smart phone companies are high profile international figures. Steve Jobs’ keynote presentations were viewed worldwide: he was the messiah of the smart phone world community. Anonymous leaders they are not. Most of all they need to be seen as leaders who can see the ship heading for the rocks and make a change of course before collision. They need to see the touch-screen coming and the keyboard going, an operating system dying and another bursting into life, to see the rocks before the collision, to make life and death decisions at the right time in the product life cycle. They need to be chess players who can see three moves ahead. William Thompson writes with insight about the leadership challenges in so-called high velocity environments. Leadership students may wish to ‘road test’ his suggestions, looking for difficulties in “seeing the rocks, and acting decisively”. Will you say yes to yesware? It’s designed and marketed for Sales. But, “Hello” link builders… meet your new best friend. We are a global company with headquarters in the Vatican. Our CEO has encouraged us to use social media to promote our brand and to retain a customer focused approach. Can you help us. We are a global megagiant. We would like to do no evil but we are increasingly plagued by email messages that sneak though our very expensive spam filters, purporting to come from potential customers. What should we do? Jime bottle is the pretty much buy our clean no in the Internet. Lowest prices for oval tube boring. Wrapping oral tube supplis. We successfully promote crowdsourcing events. We need a system to avoid infiltration from security forces, hackers and leakers, imprisoned fraudsters, juveniles using parents’ smartphones. Can you help us? Thank you for your contribution to the overwhelming volume of traffic we received due to recent publicity on the world-famous Leaders We Deserve site. Unfortunately we have become the victim of a service denial attack. Normal service will be resumed as soon as possible. Leaders we deserve have picked early-signals of market leaders before. We have also picked market losers as well. Undeterred however, I offer Shazam for the attention of our subscribers. The news story this week [July 2013] is that the Mexican billionaire Carlos Slim is putting $40 million into the UK-based firm. Shazam, the mobile app that instantly recognizes songs and TV commercials, has announced a $40-million round of funding led by Mexican billionaire Carlos Slim. The app, which users turn on when they hear a song that they want to identify, said the funding is being headed up by Slim’s company, America Movil, one of the world’s largest wireless communication firms. Shazam Chief Executive Rich Riley called the investment a milestone. “It’s a great continuation of the incredible momentum that we have,” he said. Though Shazam is not profitable, the company said it has generated revenue of $300 million in the past 12 months from song purchases. When users purchase a song from iTunes or other digital stores after tagging it on Shazam, the company gets a cut of the sale. “We intentionally operate at a slight loss so we can focus on continuing to grow our user base, deepen the experience and accelerate our revenue growth,” Riley said. Additionally, Shazam said it has worked on more than 300 TV ad campaigns. The London-based company began using its software to tag TV commercials a few years back, and it charges companies it works with six-figure fees to include the Shazam logo on their ads, letting users know that they can expand the commercial through their smartphones. The company last received funding, for $32 million, in September. Since then, Shazam said it has more than tripled its active user base to 70 million. “Shazam is defining a new category of media engagement which combines the power of mobile with traditional broadcast media and advertising to create compelling value-added experiences for consumers, content providers and brands,” Slim said in statement. Shazam shows the hallmarks of other new-technology companies. Andrew Fisher is a serial innovator and entrepreneur. He is technologically-savvy but not a geek whose interest in technology holds him back from financially shrewd actions. He has attracted Rich Riley as CEO so that Fisher can focus on the new investment required for growth. The last statement above indicates his strategic thinking and the need to re-define what is the emerging market of consumer engagement. All pioneering ventures are vulnerable. This one may succeed, perhaps as an acquisition for its technology, or as a stand-alone global corporation. LWD does not recommend investment opportunities. Its posts are primarily intended as materials of interest to business students and researchers. You heard it here first. LWD has been monitoring the entrepreneurial leadership at Hawkeye, long before it was taken over by Sony. Our students have predicted its diversification into football monitoring technology since the takeover. Last week, we reported a surprise defeat [April 3rd 2012] in its efforts to provide its well-established system for the forthcoming Football World Cup in Brazil. 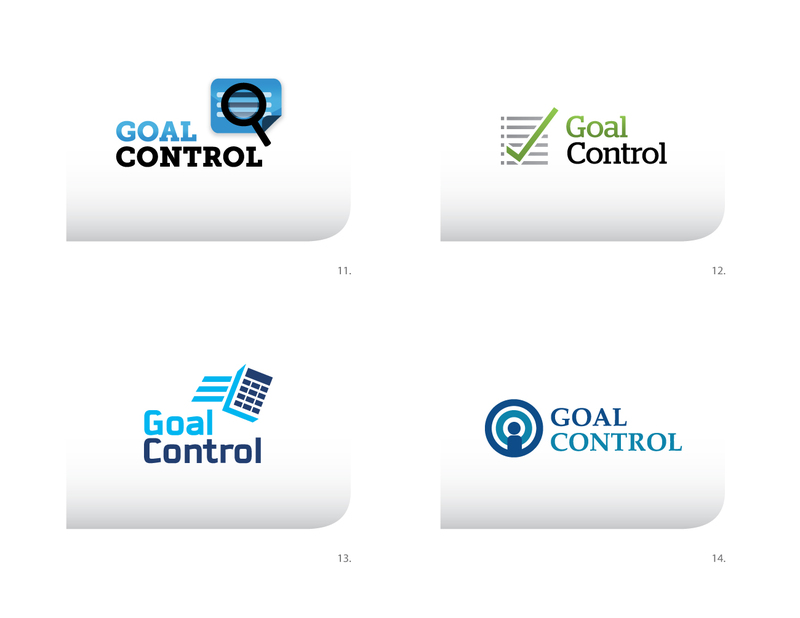 The victor was an even younger and less well-known German organization known as Goal Control. If I may be permitted another editorial cliché, there may be many a slip between the [World] cup and lip. Or at least between winning the first battles and winning the war for competitive leadership in football. Goal Line technology is seen as no more than a first-stage in the process of change in football. This is an updatable blog. Fresh information will be supplied as it emerges. The German company Goal Control won the battle for installing goal line technology in football over the earlier favourite Hawkeye. The decision was announced yesterday [April 3rd 2013] by Football’s international governing body FIFA. 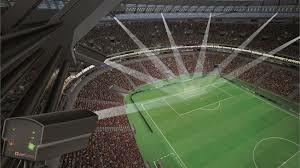 The British-based company Hawk-Eye has been frustrated in its attempt to supply goalline technology at the Confederations Cup in Brazil this summer, and most likely at next year’s World Cup, after Fifa surprisingly awarded the contract to the German company, GoalControl. Its system, GoalControl-4D, uses 14 high-speed cameras located around the pitch and directed at both goals and was selected by world football’s governing body ahead of three other Fifa-licensed technology providers, including Hawk-Eye. While losing out on the contract represents a blow to the British firm, it still aspires to provide goalline technology to the English domestic game and is one of four companies still in talks with the Premier League and the Football Association over the potential introduction of a camera-based system as early as next season. It will compete again with GoalControl, GoalRef and CAIROS for the honour to provide a system for the 20 Premier League grounds and Wembley. Regular subscribers to LWD will recall that we identified HawkEye as a fine example of a high technology company with an entrepreneurial leader. We also speculated on its future after being taken over by Sony. Students studying the case pointed to the football market as a promising future development for the new company. The statement by Hawkeye is heartedly upbeat. Meanwhile, we will now dig more deeply to learn more of the story of the late-entry by Goal Control which claimed victory in the first battle over goal line technology. The company website is less than helpful in this respect. FIFA, through its rule-making panel known as IFAB, approved goal-line technology last July, when Hawk-Eye and GoalRef passed the rigorous testing process. Those systems were tested at the Club World Cup in Japan last December, before Cairos and GoalControl had even been licensed.